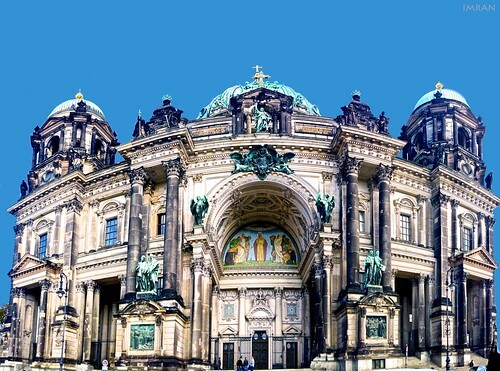 Berliner Dom DOMinating Berlin Sky - IMRAN™ on Flickr. I was able to take this awesome composite photo by combining a few photos taken with my Windows Phone Lumia 1020 and photmerging them in Photoshop. It is amazing how much detail can be see if you view the 55 MB 11000x7800 pixel image on a giant screen.